Gorgeous and immaculate - Turnkey furnished 2/2 Villa located in highly desirable and friendly 55+ community. Open floorplan with a bonus Florida room. Spacious Master features walk in closet, tile throughout, beautiful built in cabinets in dining area - all meticulously maintained. Community offers large heated pool and clubhouse for social events or you can reserve for private events and shuffleboard courts. 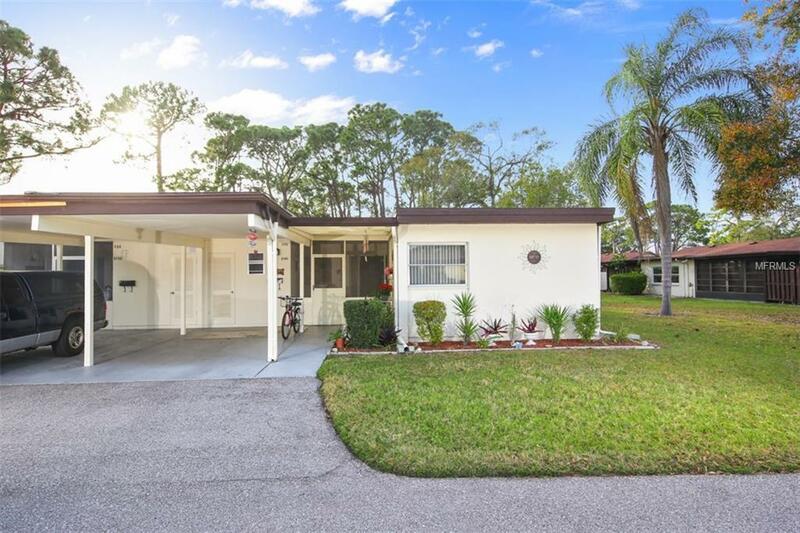 The location is exceptional and within minutes to World famous Siesta Key Beaches as well as Gulf Gate shops, Grocery, Pharmacy, Costco, Hospital, Doctor offices, Library, Theatre, Schools and the finest of Restaurants. Finer furnishings are waiting just for you. Nothing to do but move in and enjoy! Owners say BRING ALL OFFERS! Hurry before its gone! Additional Lease Restrictions Must Be 55+. Owner Must Own Fo Two (2) Years Prior To Leasing. Tenants No Pets. Pet Restrictions 2 indoor Cats Allowed. With Association Approval - Service Therapy And/Or Emotional Support Dogs May Be Permitted With Doctor's Note/Certification.